Brothers Plumbing is a one-stop center for Sacramento, Woodland, Davis, Elk Grove, and El Dorado Hills homeowners and builders. 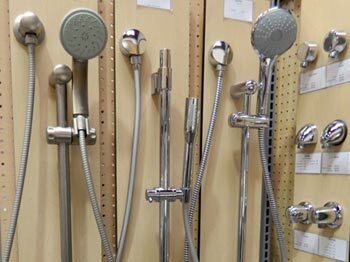 We carry kitchen, bath, and plumbing fixtures to meet every need – from toilets, sinks, and faucets to parts needed for installation and plumbing repair. In fact, our inventory and service is so complete, that customers come from all over the Greater Sacramento Area because we can save them time and money. 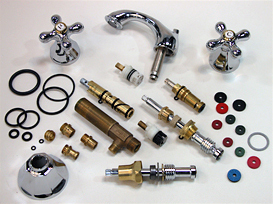 Along with stocking all the rough plumbing supplies needed to get a job started, we carry the top brands such as Kohler, Toto, American Standard, and quality faucets from Grohe, Delta, Moen, and Newport Brass, among other popular brands. The humble toilet has become a stylish element in the modern bathroom. 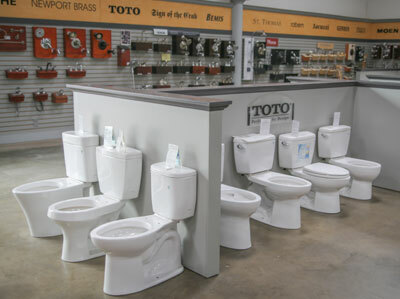 We are proud to have the Sacramento region's widest selection of toilets on display in our showroom. 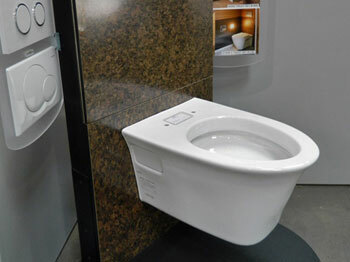 You can see, feel, and sit on our toilets from the major manufacturers Kohler, Toto, American Standard and Gerber. 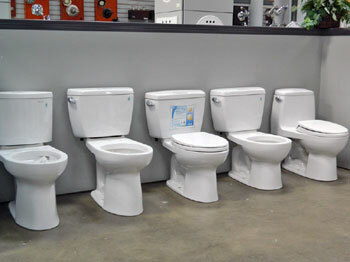 You will be able to select from all the "great-flushing" toilets offered on the market today. Select from round or elongated bowls, one-piece or two-piece design, regular seated height or taller comfort height. And, as always, our friendly experienced sales people will be glad to help you make the right selection of this most important fixture in your home. 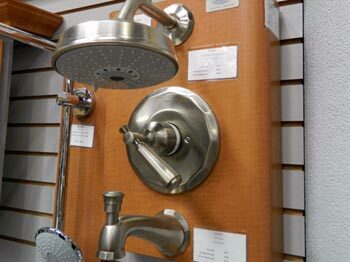 Our 16,000 square foot showroom is brimming with kitchen fixtures to give you the widest possible selection in sinks, faucets, disposals, and other stylish accessories. Mix and match our kitchen fixtures to create your customized look. At the same time, you can count on helpful advice about installation and repair of kitchen fixtures and plumbing from our expert staff. We’ve been serving the Sacramento region for more than 30 years, and customers can trust our experience and expertise. We also have stunning displays for the bath. Fixtures are particularly important in the bath, and style matters, along with lasting quality. That’s why we’ve chosen industry leaders such as Toto, Kohler, and American Standard for stylish tubs, toilets, sinks, bidets and showers to enhance the beauty of your home or commercial spaces. We offer a spectrum of classic and trend-setting colors for the bath, plus our assistance to help design and plan your project. We also pay close attention to details in bath design. We carry top names such as Grohe Faucets with advanced technology, the classic favorite Delta Faucet, and Moen Faucets that now feature one-touch technology for the Digital Age. In addition to supplying fixtures for new construction and remodels, Brothers The Plumbing Store helps you keep your kitchen and bath in good repair. 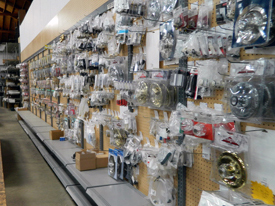 We stock lots of plumbing parts and supplies to repair leaky faucets, or any other plumbing problem that shows up in your kitchen or bathroom. 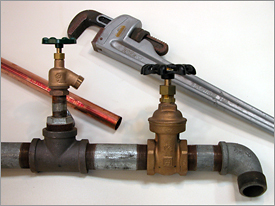 With thousands of plumbing parts in stock and our helpful in-home experts to guide you, plumbing repairs can be quick and affordable. It’s our hope that people throughout the entire Sacramento region, including Woodland, Davis, Folsom, Elk Grove, El Dorado Hills, and Fair Oaks think of Brothers Plumbing as the area’s most complete and convenient resource for kitchen fixtures, sinks, faucets, bathroom fixtures, plumbing supplies, parts, and repair advice and second to no one. Visit us soon! We have a complete supply of pipes and fittings to move the water or sewage in and around your residential or commercial building. 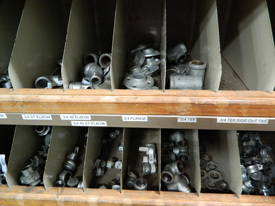 We stock steel pipes and fittings in galvanized and black, copper sweat fittings and pipes, PVC pipes and fitting in sizes 1/8 inch up to two inches. 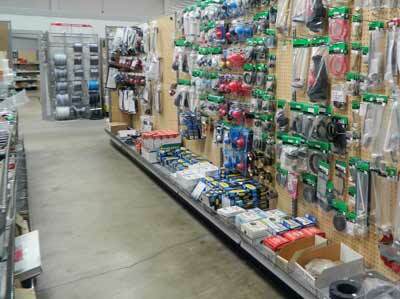 We carry and stock ABS-DWV, and also no-hub cast iron sewer pipes and fittings from 1 1/2 inch up to four inches. We are happy to help you plan and design your project - all we ask is that you purchase all your supplies from us. Once you have purchased your new tub, toilet, sink, or faucet, you now have to install this plumbing fixture in your home or commercial building. 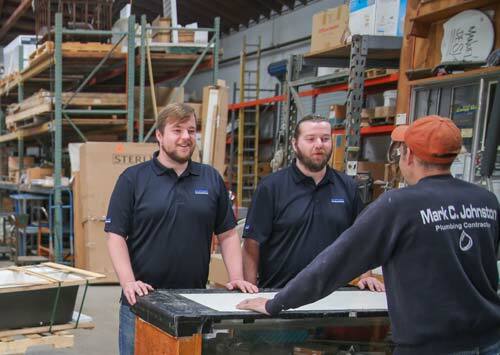 Our sales staff members are experts in selecting the right traps, drains, and supply lines to connect your new plumbing fixtures to the water and drain lines. 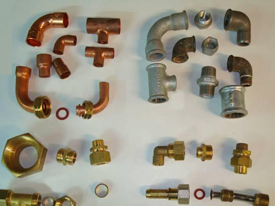 And if your connections are unusual, odd, old, or broken, come into our store – we will be glad to help you figure out what you need “to do the job right.” We have a broad variety of finish plumbing pieces to make installation easy and your project complete. 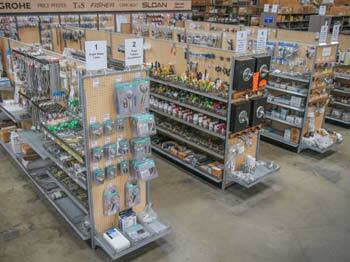 If you are looking for a repair part for your leaking faucet, come to our store. 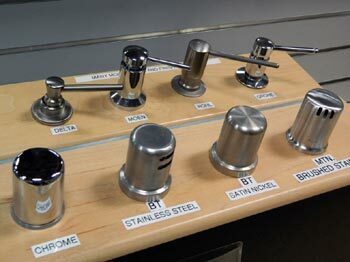 If you want to buy a new spray head for your kitchen faucet, come in to our store. 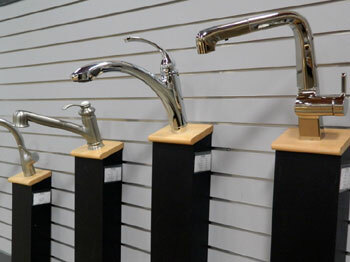 If your faucet is hard to turn on or hard to turn off, come into our store. We are the experts. 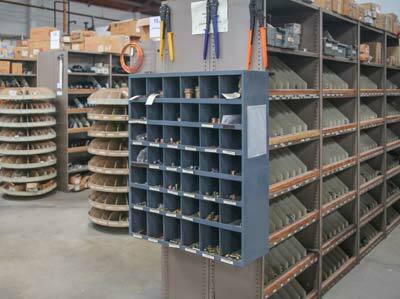 We have 1000’s of repair parts in stock and most likely have the repair part you need. 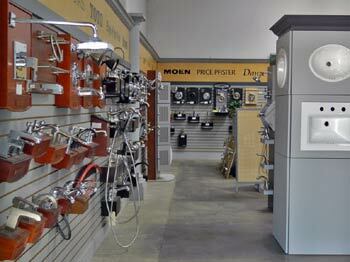 It is worth the drive to come to ours spacious showroom of kitchen sinks, faucets, disposals, and accessories. We have put on display the best brands and the newest colors in a variety of styles. You can see sinks in a counter top setting, at a counter top height. You can even touch the faucets and push the dispensers. 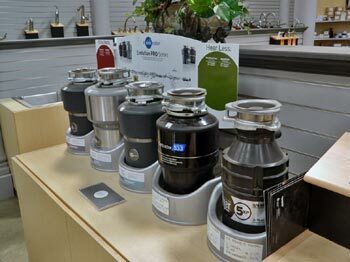 When you need to purchase a new kitchen sink or faucet, replace that old garbage disposal, or add a new accessory to your kitchen area, come in and see us. We can take all the confusion out of selecting the fixtures in your bathroom. 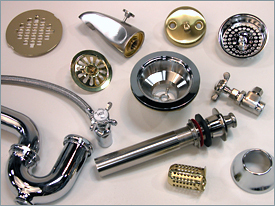 Our knowledgeable staff has been helping people repair or replace bathroom faucets since 1980. We can show you the name brands, the new styles, and a wide variety of finishes. Save yourself from driving all over town, and come into our store first. 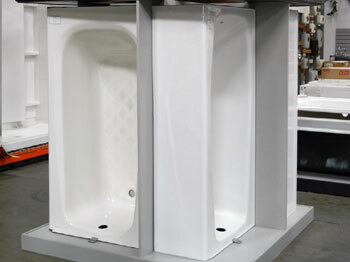 We have lots of toilets on display and lots of toilets in stock ready to take home the same day. The toilet in your home can be high or low seated, long bowl or short bowl, decorative or plain, one piece or two, white or colored. How do you make that decision of which style to buy? You come into our store and let the experienced staff at Brothers the Plumbing Store help you with that decision. Once you have purchased that new toilet from us, if you need little "how to install" help, ask one of our staff, and we'll be happy to help you with your project. 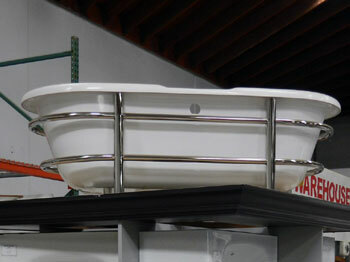 Finding the right size tub or shower to fit into your bathroom is challenging. Our sales staff at The Plumbing Store is ready to show and help you select the right tub and shower fixture to fit your bathroom project. 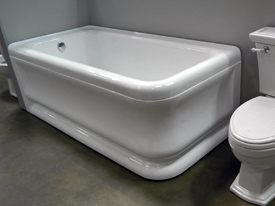 You can touch and feel and even sit in a tub in our large remodeled showroom. We have access to most of the major brands in this industry and often find that "hard to find” fixture to complete your project. Take the challenge out of buying the right tub and shower for your bathroom - come and see us at Brothers Plumbing.